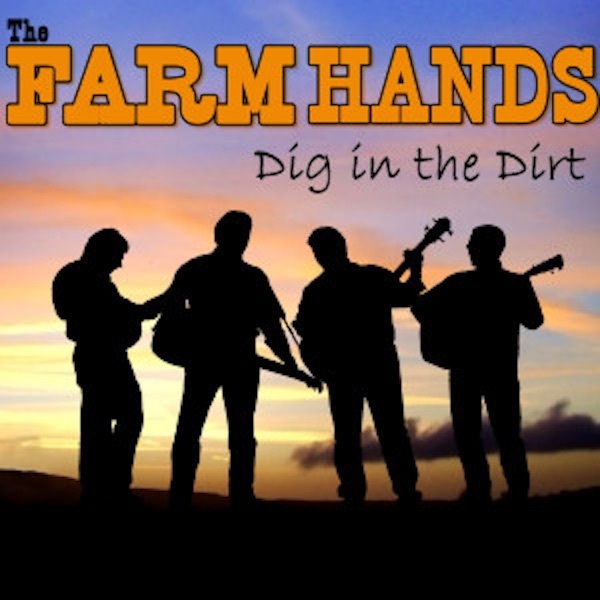 The award winning gospel quartet The Farm Hands has recorded a new album titled Dig in the Dirt, to be released on June 3rd, 2016. Their upcoming gospel bluegrass album features five of the 12 tunes penned by band members. Band member Daryl Mosley recently took home “Bluegrass Song Writer of the Year” at the latest SPBGMA Bluegrass Music Awards. The band’s Dobro player, Tim Graves won “Dobro Performer of the Year.” The band as a whole took home “Gospel Group of the Year” and “Vocal Group of the Year.” Along with Graves and Mosley (bass), the band also includes Keith Tew on guitar, Bennie Boling on banjo. The fellas are joined on the album by guest fiddler Kimberly Bibb. The Farm Hands are one of the most exciting and talked about band in Bluegrass Music. At the 2016 SPBGMA Bluegrass Music Awards, The Farm Hands collectively took home four awards. This followed up an incredible 2015 when they received one of the SPBGMA’s highest honours, “Entertainer of the Year.” Since their inception in 2010, they have received over 40 awards and nominations including 2014’s “Album of The Year.” Their YouTube videos, Facebook, and Twitter pages have thousands of followers. They are one of the busiest touring bands in bluegrass, performing over 150 dates per year. For anyone who has seen them in concert, none of this comes as a surprise. The group features 4 award winning singers, musicians and songwriters, including two long time veterans of Nashville’s Grand Ole Opry.